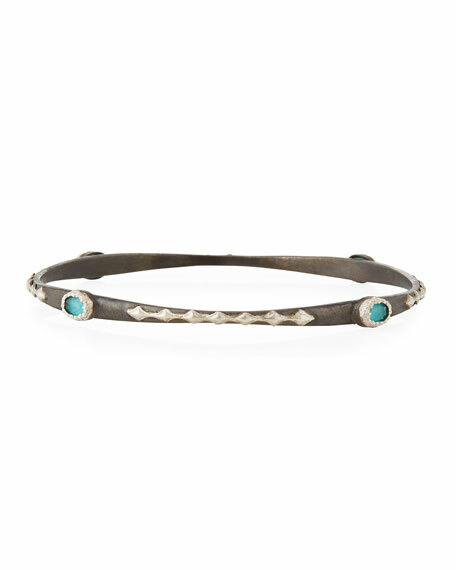 Armenta bangle from the New World Collection. Polished and oxidized sterling silver hardware. Alternating crivelli and doublet stations. Turquoise and white quartz doublets.